Ada yang nak gemukkan badan, macam aku ni lah. Kunci untuk gemukkan badan adalah makan lebih banyak kalori. Untuk orang yang susah nak makan, mesti rasa susah dengan cadangan ni. Dah makan 3 meal sehari pun dah susah, inikan pula nak makan lebih-lebih. haha. Tips untuk naikkan berat badan adalah pilih makanan yang tinggi kalori. Kuantiti yang sikit pun dah tinggi kalori, jadi senanglah nak capai target kalori harian. Ni antara makanan yang tinggi kalori untuk diamalkan. Drink Calories – Drinks are an easy way to intake calories on the go. Drink juice, soy milk, milk, smoothies, and other healthy high calorie beverages. Do Muscle Building (Anarobic) Exercizes – Muscle building exercizes increase appetite and also increase weight as your body builds muscle. This is especially true when combined with high protein foods like nuts, peanut butter, fish, or beans. Track your progress and set goals – Setting goals and targets is important to any achievement. Set healthy weight gain targets each month. No more than 10lbs (~5kg) a month is reasonable. Keep track of your weight gain in regards to the Body Mass Index (BMI) and be sure you do not go over into an unhealthy weight range. 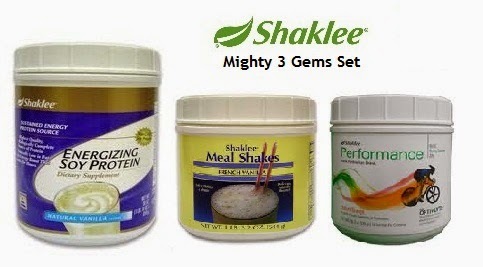 Shaklee juga ada supplement yang membantu dalam usaha menambah berat badan. 1. 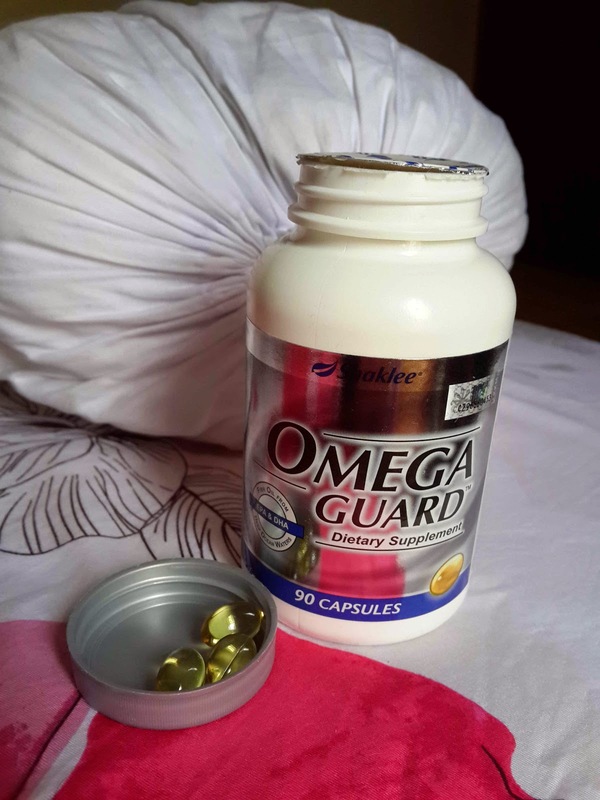 B-Complex : Membantu badan untuk reset metabolisme. 3. Meal Shakes dan ESP : Menambahkan kalori harian dalam bentuk shake berperisa vanilla. Ni baru je sampai dari Melaka, ada kelas pukul 10 jap lagi. Mentang-mentang baru dapat kaki, seronok lah dia tunjuk kat makcik pakcik atuk nenek dia dah pandai jalan. Tu belum suka lari lagi. Mak pun boleh lepak sebab Darrell gi main ngan makcik pakcik. Ok nak g kelas dah. A high protein breakfast can give you the perfect start to your day. Protein can be a great way to fuel up after a long night’s rest. Here are some reasons why you should enjoy a breakfast that is high in protein and some recipe ideas to get you started. Eggs have gotten a bad reputation because of their fat content. Only a portion of their fat comes from saturated fat and studies show that eggs may actually help lower cholesterol, as opposed to raising it as previously believed. If you aren’t entirely convinced, enjoy only the whites or mix one whole egg and one egg white. Eggs are a good source of choline, which is essential for a healthy brain and nervous system. Choline also reduces inflammation among those with heart disease, diabetes or osteoporosis. Eggs have carotenoids that are essential for healthy eyes. Lutein, a carotenoid that is found in eggs, is believed to significantly reduce the risk of macular degeneration and cataracts. Scramble some eggs for your breakfast or make a tasty omelet with your favorite vegetables. Eggs are a great source of protein, so don’t be afraid to add them to your menu. If you are a vegetarian, you may be looking for ways to meet your protein needs. Soy is a plant-based protein that has been popping up as an ingredient in more and more products. Look in the frozen food section at the meatless meats. Here you will find soy-based products that have similar tastes and textures to meats. You’ll find breakfast sandwiches and sausages that will allow you to get the protein you need without eating animal products. You can also turn to soy milk, soy nuts and soy butter to get protein. 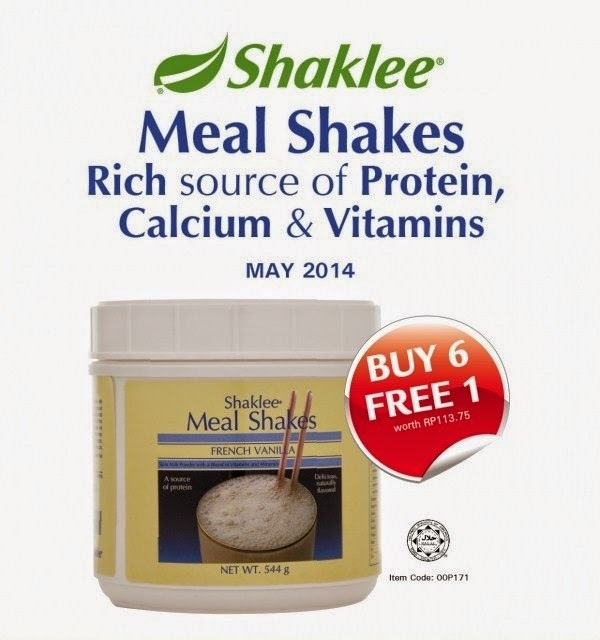 Promo bulan Mei 2014 : Meal Shakes. Beli 6 percuma 1, eksklusif untuk ahli Shaklee sahaja. Nak beli Meal Shakes dan dapat free membership?